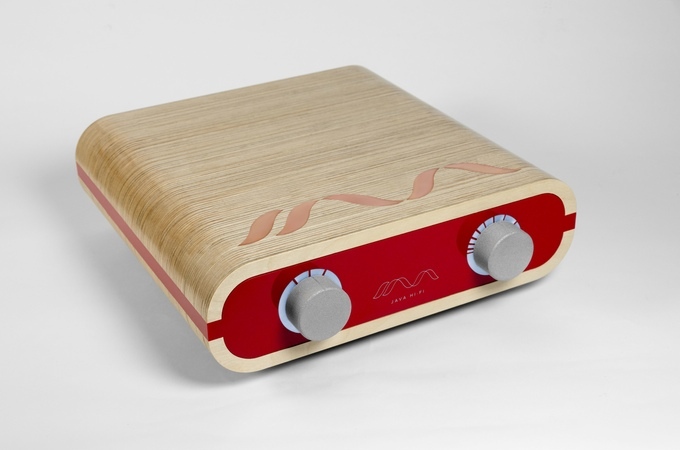 Dr Richard Varey gets amorous with a retro-styled NZ-designed preamp. 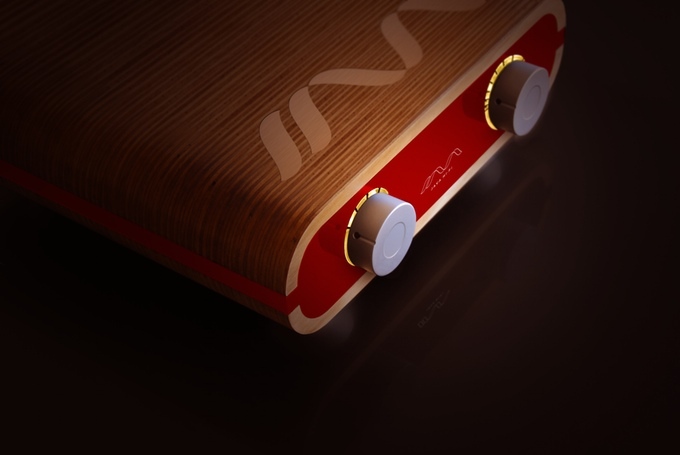 SOME MONTHS AGO I was lucky to be able to preview a prototype of this preamplifier and was so impressed with its performance in my audio system that when asked to audition this pre-production sample I did not hesitate in accepting the invitation. Some design enhancements had been planned and I was keen to see and hear the result. My listening audition would provide another opportunity to put it through a practical listening test. The Java is a full-function passive pre-amp using light-dependent resistor (LDR) technology in a unique circuit design. It uses an LDR-based circuit designed by Chris Daly, creator of the Stereo Coffee LDR control board (hence “Java”), known to many DIYers. Chris has further developed his already excellent design to create an enhanced LDR control board and circuit exclusively for the Java that incorporates a number of important new operational features and further improved sound quality. The design of the casework is a collaboration between Martin Bell and Shane Inder, Head of Industrial Design at AUT University. The member of the Java range I had on loan was a Java Single Shot Ristretto (red), in a honey oak case with high-gloss finish and acrylic fascia and side strips, with a lovely copper insert on the top face of the case. I still employ a rather quaint but well-tested (over more than 40 years in hi-fi) method for assessing the suitability of an audio product for my music listening system. I listen to music with it and if I like the sound quality, I look at the features with consistency, convenience-in-use, and value-for-money in mind. The Java was a tonic for my audio system. The Java does an excellent job of translating source outputs to the kind of input any self-respecting high performance power amplifier wants so that it can do its job really well. Music played with the assistance of the Java was consistently and strikingly engaging – very dynamic and natural, with detail, clarity, and presence. While not adding any sonic character of its own, the Java did assist the power amplifiers to shine (I use Sachem V2 which are renowned for their purity, dynamic range, and speed). This consideration is what makes some products inherently more interesting than others. Arguably, because the circuit design has a whole lot of innovative improvements on the original Stereo Coffee, this a very special, evolved and sophisticated technology solution to the problem of input selection and control. The innovative implementation of LDRs in the Java passive circuit edges preamp design closer to the holy grail of a theoretical “straight wire with gain”. My more technically detailed review of a prototype unit was published a few months ago by TNT-Audio. The overall aesthetic harks back to hi-fi’s golden age in the 1950s and 1960s, and uses a mix of premium materials.To my taste, this is a dramatically retro styling, but not everyone will love it. The unit is quite big (350 x 340 x 110 m, 5.2Kg) and sat very prominently up-front in my system – it’s certainly not a shy retiring accessory, more of a bold style statement and obviously in charge. I wonder how it would sit in most home audio system settings. This version has three RCA (unbalanced) inputs, one RCA (unbalanced) output, and a power on/off switch on the rear panel, as well as a rotary input selection switch and rotary volume control on the front panel. Other versions are available with more inputs and outputs. All connectors are high-spec Neutrik. The control knobs are 3D printed in Alumide (an aluminium nylon composite). The front panel has concealed LEDs behind each of the acrylic rings surrounding the knobs providing subtle illumination when the unit is powered on. The Java is suitable for use with all source components with low output impedance and an output of 500mv or more, and is compatible with all power amplifiers. A standby rocker power switch underneath and towards the front edge of the bottom panel is provided so that you don’t have to reach behind the unit for power on/off. You leave the rear panel switch permanently powered on and the standby switch will drop the power to an extremely low voltage, which will increase the life of the LDRs to 20+ years. This is the first new hi-fi component I have unpacked that instantly stimulated my senses with the aroma and texture of wood and glossy varnish instead of that industrial smell of factory and plastic packaging. Both the case and the control knobs are textured, giving a nice feel that is quite different to the sterile, passive feel of flat metal boxes. The feel of the controls is smooth and tactile. It couldn’t be any easier to operate. Select the desired input and adjust the volume. Unlike many other controllers, this unit doesn’t have a wireless remote control. That is part of the retro feel of this unit, bringing you necessarily into closer involvement with your audio system. I like that. For me, the Java puts you in control in a way that seems much more than a mere volume control. I readily sensed the hand-built, hand-finished character of the unit, and on the unit supplied could see where some minor adjustments are being made to the fit of the acrylic and wood panels. I liked the crafted character of the unit, and this is wholly different to the machine-made standardised feel of typical components.